Customer panels are built from lists of customers that have given permission and are willing to take part in research on an ad-hoc basis. This is invaluable to market research, especially in cases where data collection relies on access to research ready participants. Instant access to willing participants guarantees high quality research and ensures you are able to carry out research when you need it. Panels provide a range of research benefits, but we have chosen our top 6 that demonstrate how the research method can have a positive impact on your business. By engaging with members of a panel who frequently take part in your research, you are giving them a voice and reassuring them that their opinion counts. In turn, this influences the ongoing development and growth of your company. With their ongoing input, your organization can listen to consumer thoughts and better communicate, adapting to their needs and preferences. In doing so, customers will appreciate the impact their views have on your brand and remain loyal to your company. Panels guarantee a rapid turnaround of projects. As they are already set up with research ready participants, there’s no need to re-recruit for each future piece of research you undertake. This means that your company can react quicker in terms of delivering research and making use of its findings. A peer-to-peer customer panel offers you instant access to customer feedback, ideal for when you want to understand customers’ initial reactions to a change made to your brand or marketing strategy. For example, if you’ve recently launched a new advert and need to find out what your customers think of it, a panel provides a quick way to send out a survey, target audience and acquire information instantly. Reduced timescales also mean you can carry out more research in the long run, leading to a greater overall understanding of your customers. Since information on a consumer panel is collected about the same group of people over a relatively long period of time, you can track and identify any changes in consumer preferences, trends or behaviour. This isn’t simply a matter of comparing customers’ perceptions of your company now with those at an earlier stage. It is also trying to understand the mediating factors which may have led to any differences in opinion or habits. For example, if your customers were previously satisfied with your organization but their feedback has become more negative, you can try to discover which factors have led them to feel this way and make changes accordingly. A customer panel gives you a much needed before and after picture of customers’ opinions. It helps you redirect your efforts, whether this is through changes to your customer service, marketing strategy or other aspects of your business. Having your own customer panel is a lot cheaper than other methods too. As you already have a list of customers you’d like to target for research, you can avoid having to pay a large sum of money for a sample from a third party panel provider. The data is also better quality since participants from external sources may not always be as relevant to your business as your own. Within a consumer panel you have the opportunity to conduct both qualitative and quantitative research depending on your research needs. If you want access to quick customer feedback, you can send a survey out to your target audience and gain instant stats. However, if you’d rather gain a more in depth understanding of your customers’ behaviours and opinions, you have the option of inviting high value customers from the panel to take part in more qualitative research such as focus groups or interviews. A customer panel also enables you to carry out personalised and targeted research as each member provides a detailed profile about themselves when registering for the research. You can therefore segment participants according to high or low value customers, gender, age bracket, products they use etc. and only research those most relevant to your project at the time. One last great advantage of a consumer panel is that the response rate is likely to be high since members have already agreed to take part in the research. Participants are aware that they’ll be invited to various projects as they will have agreed to this when signing up for the panel. They therefore know what to expect and are more likely to opt in when receiving invites. The quality of the responses themselves are also high, since participants willing to take part in research will feel comfortable and provide thoughtful, detailed answers. Delivering research online means that they can take part at a time convenient for them, when it has their full attention and they can focus on developing their answers fully. These are by no means the only benefits that customer panels offer. What do you think are the advantages of using customer panels? Have they worked well at all for you in the past? Let us know your thoughts in the comments below. Find out more about our unique customer panel tools. Or, talk to one of our research experts to book a free demonstration of the FlexMR platform. 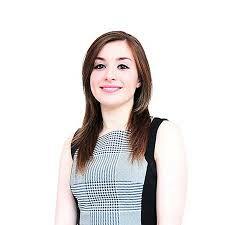 Kimberley has an in-depth understanding of marketing, with particular respect to linguistics. She combines this with her skills in both qualitative and quantitative research to provide invaluable insight into consumer behaviour.